Religion has always been a big deal. It is only now starting to become a big deal in the workplace. What people in the CIO position are starting to see more of now is the cropping up of religious issues. These issues are sparking a flurry of lawsuits and they are starting to raise a complicated set of questions regarding how a worker’s faith should interact with their job. CIOs have been encouraging their workers to take the time to celebrate what makes them unique individuals. However, perhaps because of the very personal nature of our personal religious choices, religious identity is turning out to be a bit tougher for CIOs to learn to navigate. In the past, most CIOs have tried to stay far, far away from anything having to do with religion in the workplace. The reason that we’ve done this is that we’ve been very afraid of doing something wrong. We don’t want to make a mistake or end up doing something that turns out to be unlawful. CIOs are well aware that if a worker feels as though they have been discriminated against because of the religion that they practice, they can file a religious discrimination lawsuit. In the U.S., religious discrimination lawsuits have increased by more than 50% between 2006 and 2016. What this means for CIOs is that we are finding ourselves in charge of a more multicultural workforce that consists of people who have a wide array of different faiths. One problem that CIOs often have is that we fail to address our IT department member’s faiths until a problem shows up. CIOs cannot ban religious expression outright. Additionally, they are required to accommodate religious expression as long as it does not cause undue hardship on the company or its workers. Given all of the complexities associated with religion, what’s a CIO to do? The first thing that a CIO has to realize is that their employees don’t drop their religious rights when they arrive at work. It is the responsibility of the CIO to find a way to strike a balance. CIOs need to understand that if they are not able to find a way to strike that balance, then they may find themselves in hot water. It’s important to understand that all people of faith feel that their faiths are not respected at work – white evangelicals are just as likely to have issues as non-Christians. This is turning out to be a bigger deal than most CIOs are aware of. A recent survey showed that 28% of workers are saying that discrimination against Christians is as serious as discrimination against religious minorities. One of the reasons that this has become an issue is because religion is often missing when CIOs have conversations about corporate diversity policies. What CIOs would like to be able to do would be to create a workplace that was welcoming to workers of all faiths. Surveys of workers have found that people who are working for companies that have a clearly stated religious nondiscrimination policy were less likely to say that they were looking for a new job. Even better, workers who work for a company that has flexible hours to permit religious observances were found to be more than twice as likely to say that they look forward to coming to work. CIOs who take the time to understand what the religious needs of their various employees are and then create solutions for them will find that they have a much happier workforce. Religion has always been a very tricky subject. Our religious beliefs are a very personal thing and the fact that other people may have different religious beliefs from us can cause many people to feel as though they are being discriminated against because of their beliefs. CIOs need to be aware of the challenges associated with trying to accommodate multiple religious beliefs and then take the correct steps to create a welcoming workplace. CIOs have to be aware of the fact that if a worker feels that they are being discriminated against then they may end up suing the company for religious discrimination. CIOs have traditionally stayed away from religious issues because we didn’t want to make any mistakes. All too often CIOs don’t deal with religion until it becomes an issue. We are required by law to make religious accommodations for our workers. CIOs need to understand that it’s not just non-Christians who may feel that they can’t practice their religion at work, a lot of Christians feel the same way. Religion has to be a part of any company’s diversity program. Having a clearly stated religious diversity program and providing time for religious observations can result in happier employees. Life would be so much easier if there was only one religion and everyone subscribed to it. However, that is not the case and there are a lot of different religious views out there. In any IT department there are probably many different people with their own set of religious beliefs. As the CIO it is your responsibility to make sure that nobody feels as though they are being discriminated against because of their religious beliefs. You also have to take steps to create a welcoming environment for all religions. If you can accomplish all of this, then your IT department will be the place that everyone wants to come and work in. 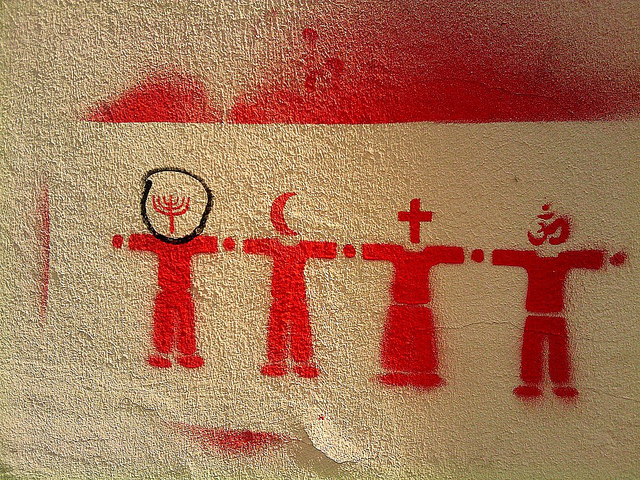 Question For You: What can a CIO do to show that their IT department has religious tolerance? Would it be ok if we took a moment and talked about diversity? Let’s face it, the world of IT and most of our IT departments are not really models of diversity. For some reason, it sure seems like white males (and a lot of Asians) are the ones who seem to populate most of an IT department and get to work on the importance of information technology. Sure, we all have our token females, blacks, Hispanics, etc. but they are not represented in a way that matches their numbers in the real world. As a CIO, you are probably well aware of the benefits of diversity. What are you going to do to solve your diversity problem?